Below are detailed backgrounds of your current Mayor and Honorary Aldermen. Cllr Harris has lived close to Loughborough for most of her life and attended St Mary’s School and Our Lady’s Convent as a child. She studied teaching at the University of Loughborough and went on to work in secondary schools in Loughborough and Shepshed, teaching GCSE and A-level Humanities and English. Cllr Harris has been a borough councillor for 23 years in three wards in Loughborough. She has been on numerous committees including the Chair and Vice Chair of the Planning Committee for a number of years. She takes a keen interest in open spaces, parks and woodlands across the borough. She actively participates in community life within the areas that she has represented and has been a governor to three schools in the borough. She is looking forward to being able to serve the residents of Charnwood during her time as Mayor. Ms Bradley-Stevenson has lived in Loughborough for most of her life and attended local schools as a child, including Our Ladies Convent High School in Loughborough. After leaving school she became a dental nurse, gaining the necessary qualifications during evening classes in Leicester. She has worked within the community at local dental practices over a period of nine years before moving to Bristol to study dental hygiene. In 1974, after completing her qualification, Ms Bradley-Stevenson returned to Loughborough and worked as a Dental Hygienist, retiring from the profession in 2013. She has a number of interests including amateur dramatics, sport, reading, theatre, walking and singing. She is a member of local ladies choir in Shepshed called Serenade, who raise money for local charities. The conferring of the title Honorary Alderman is the highest award that can be made to a former Councillor in recognition of exceptional service to the Council. Honorary Aldermen wear a dark blue robe and support the Mayor on formal ceremonial occasions. They occasionally undertake social duties at the request of the Mayor and are entitled to process in and take a seat at meetings of Council although they have no vote. Aldermen Scott was first elected at a by-election on the February 13, 1986 as the Councillor for the Birstall Greengate ward. He continued to represent this ward, being re-elected four times, until May 2003 when e did not seek re-election. During his seventeen years of service he was Mayor 2001-2002 and Leader of the Liberal Democrats on the Council 1986 - 2001. He was a Member of Cabinet December 1999 - May 2001 and Chair of Cabinet November 2000 - May 2001. He was at various times a member of the Planning Committee and Plans Sub-Committees 1 & 2 and the Environmental Charter Sub-Committee. He also represented the council on various outside bodies, including the Outwoods Management Committee and was a Governor of Longslade Community College and Highcliffe County Primary School. He was a member of Birstall Parish Council 1987 - 2003 and was on the Charnwood Local Strategic Partnership Board. He has been Chair of Action for Better Charnwood (ABC)since 1999. He lectures in Public Policy, Public Sector Management and Environmental Politics at De Montfort University. Aldermen Bush was first elected in 1995 as Councillor for Six Hills Ward and following the boundary changes in 2003, he became Councillor for Wreake Villages until his retirement in 2011. John Bush served on many committees, which included Environmental Health and Housing, Policy and Finance, Planning, Scrutiny Commission and Personnel Committee. He was chairman of Resources Scrutiny Committee in 2003/04, Audit and Risk Management Scrutiny Committee in 2004/05 and Performance and Audit Scrutiny Committee between 2005 and 2007. Between 2000 and 2003, John Bush served in the three party coalition Cabinet and he also served in the Administration between 2007 and 2011, serving in two different Cabinet Lead Member roles, Finance, Resources and Risk Management from 2007 until 2009 and Housing from 2009 until 2011. John Bush was Deputy Leader of the Council between 2007 and 2011 and was acting Leader during Mike Preston’s illness. Aldermen Tormey served for 24 years as a Borough Councillor, first being elected in 1983 and serving until 1987 and returning in 1991 and serving until 2011. During this time he represented Loughborough Shelthorpe and Loughborough Lemyngton wards. During his time on the council, Joe Tormey was Chairman of many committees, both regulatory and scrutiny. 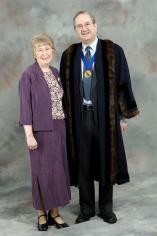 He was Deputy Leader from 1995 until 1999 and recently Mayor of the Borough during 2007/2008. Outside of the council, he was Centre Manager at Fearon Hall, until he retired in 2007. A family man, Joe Tormey has three children, and has been supported in his work for many years by Jean. Well known in Loughborough and throughout the borough, Joe Tormey has been an active member of the Charnwood Community for most of his working life, dedicating himself with a selfless and caring attitude. Robert Shields was elected as a Borough Councillor in May 1983 for the Wolds ward and served as a councillor for 20 years until 2003. He had played a senior role in the work of the Council under the old committee system and the current cabinet and scrutiny system, and was directly involved in the transition between the two. In proposing the appointment of Robert Shields to the role of Alderman at full Council in June 2017, Councillor Slater referred to the different committee appointments that Robert Shields had held, including as Chair and Vice-chair under the committee system. He explained that starting in 1999 the Council began to change its governance arrangements to the cabinet and scrutiny system and that Robert Shields had played an important part in those changes. Initially he had served as a scrutiny councillor. From 2000 to 2003 he was a member of the Council’s Cabinet. For that period all three main political parties were represented on the Cabinet and the role of Leader of the Council, and chair of the Cabinet’s meetings, was rotated on a six-monthly basis. As part of those arrangements Robert Shields had served as Leader of the Council for three periods between 2000 and 2003. In supporting the motion other councillors stated that conferring the title of Honorary Alderman on Robert Shields would be richly deserved and referred to the positive outcomes he had secured for the Council and the Borough while he was a councillor and his long connection with the Borough. Reference was also made to the hard work he had done with the other two parties as part of the three-party Cabinet.